First-year Abby Edwards pitched against Ohio University during a March 19 game. This past weekend, the Panthers lost all three of their games against Virginia Tech. While the sun came out for the first time in a long time, it was a bleak, dark weekend for Pitt sports. 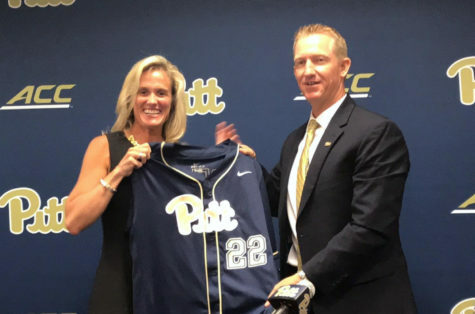 Pitt’s baseball and softball teams went a combined 0-6 in their weekend series, while the tennis team was similarly swept in ACC competition. The gymnastics and track and field teams performed comparatively better, contributing some standout individual achievements and middling team finishes. 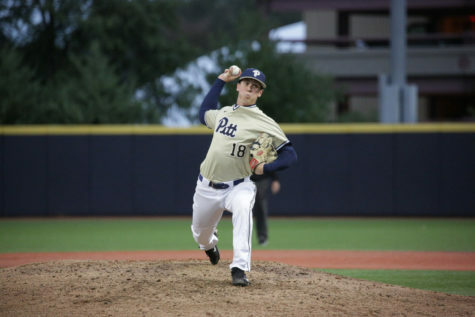 The Pitt baseball team needed some positive momentum after losing nine of its last 10 games entering a road series at Virginia. But the Panthers (7-15) continued their downward skid, suffering a three-game sweep at the hands of the Cavaliers. Pitt looked good to start Friday’s series opener, hopping out to a 1-0 lead in the first inning thanks to a solo blast from senior outfielder Connor Perry. Junior pitcher Christian Camacho started the game and held a clean slate through the first two innings. But things started to unravel in the bottom of the third, as Virginia tacked on three runs thanks to two Pitt errors. Perry hit another home run in the top of the fifth, but the Cavaliers bolstered their lead in the bottom of the inning with four more runs. The Panthers’ offense added one more run in the sixth before going stagnant over the last three innings, allowing Virginia to cruise to an easy 13-3 win. Saturday’s game was the closest of the series, with Pitt taking a lead in the fifth inning before conceding it in the eighth. Starting pitcher Dan Hammer was solid over the first 4.2 innings, allowing just two runs while striking out six. But errors undid the Panthers over the latter half of the game, as sophomore relief pitcher Chase Smith allowed five runs but only one earned run. A three-run effort from the Cavaliers in the eighth saw them break a 4-4 tie, eventually holding on for a 7-5 win. 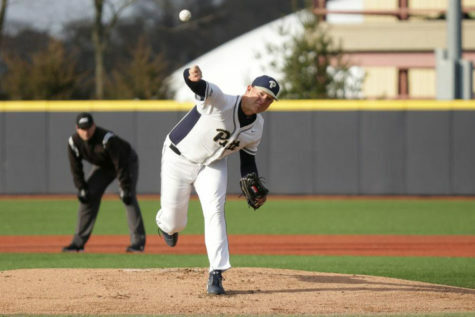 Sunday’s finale was a low-scoring pitcher’s duel through the first five innings, with Pitt redshirt junior Derek West and Virginia first-year Mike Vasil allowing only one run each. Cavalier first-year infielder Nic Kent provided the game’s deciding moment in the seventh inning, launching a three-run homer off Camacho that helped Virginia ultimately win, 5-2. 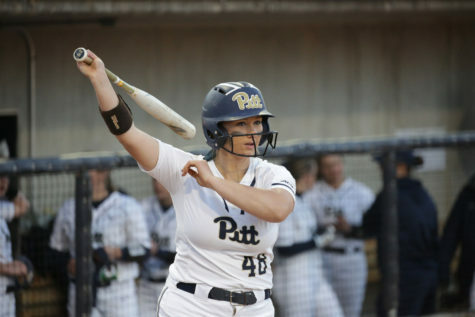 The Panthers will look to snap their losing streak when they take on the Youngstown State Penguins on the road this Wednesday at 5 p.m.
Pitt’s softball team also suffered a sweep over the weekend, in more of a blowout than its baseball counterpart. 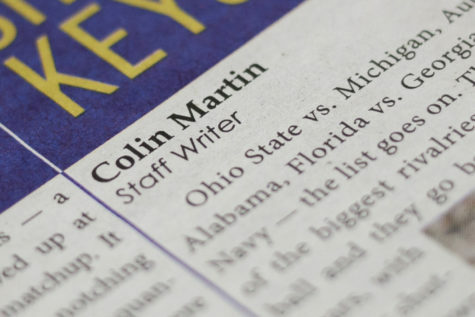 Despite playing in the hometown confines of Vartabedian Field, the Panthers (4-25) lost all three games to No. 24 Virginia Tech by eight runs or more. 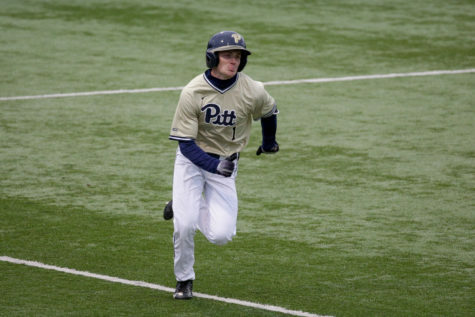 Saturday’s doubleheader reaped disastrous results for Pitt. The Panthers looked alright through the first two innings, and despite not scoring a run, first-year pitcher Abby Edwards also held the opposing team to zero. But the Hokies heated up in the third inning, scoring eight runs on Edwards before head coach Jodi Hermanek elected to remove her from the game. Senior reliever Taylor Rahach didn’t fare much better, allowing 10 runs over the next 1.2 innings as Virginia Tech cruised to a mercy-rule win, 18-10, in five innings. 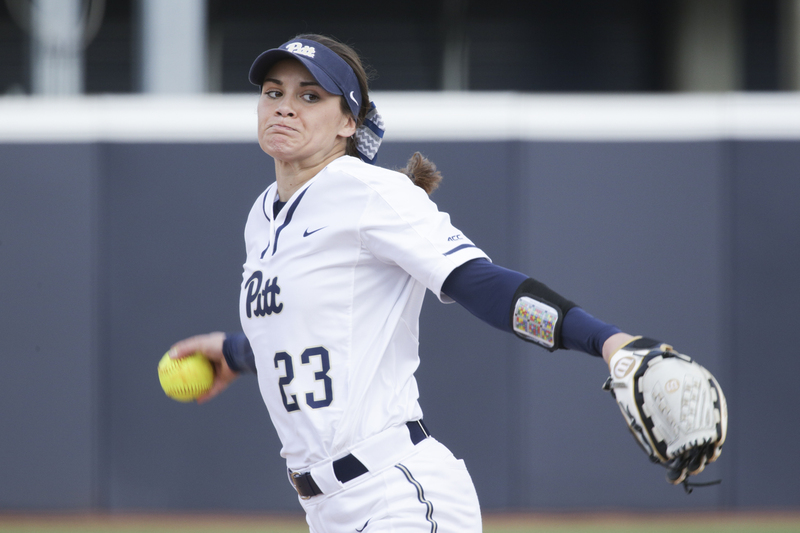 The afternoon game didn’t yield any drastically different results — Virginia Tech hopped out to an 8-0 lead before Pitt first-year outfielder Katie Pavlick scored in the third inning. There wasn’t much action after that, with the Hokies winning 9-1. The Panthers finally got their offense going early in Sunday’s finale, scoring two runs in the first inning off a homer from senior second baseman Alexis Solak. But the Hokies answered back with four runs in the third inning to bolster their 3-2 lead, and Virginia Tech sophomore pitcher Keely Rochard blanked the Panthers for the remainder of the game to deal them a 10-2 loss. Now riding a four-game losing streak, the Panthers will look to get back on track when they take on in-state rival Penn State at home this Wednesday at 5 p.m. The Pitt tennis team dropped its seventh consecutive match at Wexford’s Oxford Athletic Club on Friday, falling to ACC foe Virginia 7-0. The Cavaliers thoroughly dominated Pitt in this one — only seniors Luisa Varon and Clara Luas managed to extend their singles matches to a third set, with both falling 7-5 in the tiebreaker. The Panthers will continue their tough ACC schedule next Friday when they take on NC State at home starting at 3 p.m.
Pitt gymnastics competed at the East Atlantic Gymnastics League Championship on Saturday at the University of New Hampshire, earning a team score of 194.900 to place fourth out of six teams. First-year Olivia Miller was the Panthers’ top performer on the day, taking third in the all-around competition with a score of 39.025. Sophomore Haley Brechwald took sixth, largely thanks to a stellar fourth-place finishing score of 9.850 on floor. 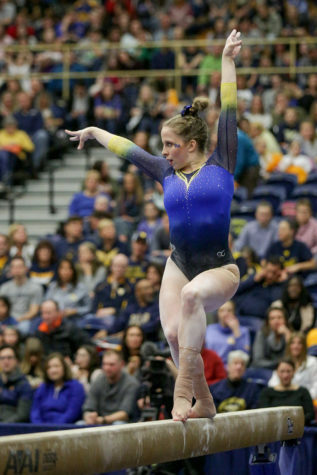 Pitt’s other quality performers included junior Alecia Petrikis, who tied for sixth place with a 9.800 in the vault competition, along with junior Deven Herbine and sophomore Jordan Ceccarini, who led Pitt on beam with scores of 9.750. Pitt’s track and field team continued its outdoor season with a trip down to Tallahassee, Florida, for the Florida State Relays. The men’s team scored 67 points to finish fifth out of eight teams, while the women scored 54 to take seventh place. Junior Dante Watson provided Pitt’s highlight of the weekend, taking first in the 800-meter run in a blazing 1:50.43 — the second-fastest time in the country this season. Also on the men’s team, sophomore high jumper and former ACC indoor champion Greg Lauray leapt his way to a second-place finish by clearing 6 feet 11.5 inches. The 4×100 relay tandem of senior Kenneth Brosier, sophomore Lonzell Feagin, sophomore Ade Jones-Roundtree and junior Jabari Michael-Khensu finished in 40.79 seconds to take bronze, and first-year Crockett Schooler also took third in the 400-meter hurdles. Junior Aysha Muhammad shone the brightest on the women’s side, notching third-place finishes in the 100-meter hurdles and 400-meter hurdles. Junior Jordan Fields also contributed a bronze medal in the triple jump with a distance of 38 feet 9 inches, and sophomore Nikki Scherrer took fourth in the 400-meter run with a 54.57-second lap. The Panthers will travel to Raleigh, North Carolina, on Friday for their next weekend meet, the Raleigh Relays.